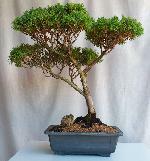 Saturday 2 May 2009 - "Bonsai 1"
Saturday 18 July 2009 - "Bonsai 2"
Saturday 25 July 2009 - "Bonsai 2"
Saturday 10 February 2007 - "Bonsai 1"
Saturday 10 March 2007 - "Bonsai 8"
Saturday 7 April 2007 - "Bonsai 5"
Saturday 19 May 2007 - "Bonsai 1"
Saturday 16 June 2007 - "Bonsai 3"
Saturday 25 August 2007 - "Bonsai 3"
Saturday 29 September 2007 - "Bonsai 1"
Saturday 27 October 2007 - "Bonsai 2"
Saturday 21 January 2006 - "Bonsai 4 BYO"
Saturday 27 May 2006 - "Bonsai 1"
Saturday 12 August 2006 - "Bonsai 1/2/5"
Saturday 9 September 2006 - "Bonsai 1/3"
Saturday 7 October 2006 - "Bonsai 1/3/4"
Saturday 2 July 2005 - "Bonsai 1"
Saturday 9 July 2005 - "Bonsai 2"
Saturday 23 July 2005 - "Bonsai 3"
Saturday 30 July 2005 - "Bonsai 4"
Saturday 8 October 2005 - "Bonsai 1"
Saturday 22 October 2005 - "Bonsai 2"
Saturday 12 November 2005 - "Bonsai 3"
Saturday 26 November 2005 - "Bonsai 1"
Saturday 17 December 2005 - "Bonsai 5"
Saturday 13 April 2002 - "Autumn Workshop"
Our first local workshop and it was a fabulous event. 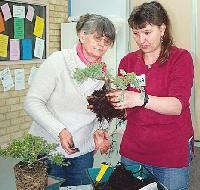 Here is the report. 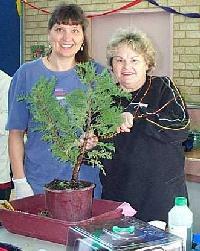 September 1998 - Challa Station - Bonsai training in the Mount Magnet environment. 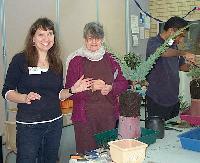 Tuesday 25 March 2003 - Regents Nursing Home - Bonsai Demonstration to brighten up the day. 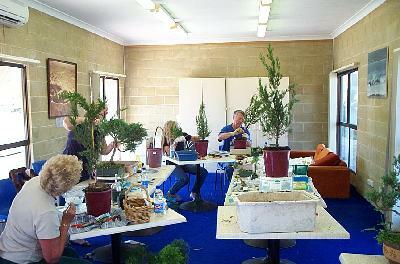 Tuesday 12 October 2004 - Banksia Detention Centre - Bonsai workshop to detention youths. 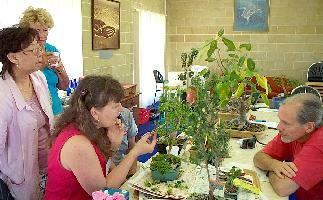 Wednesday 13 April 2005 - Landsdale Herb Farm - Demonstration in use of herbs in Bonsai styles. 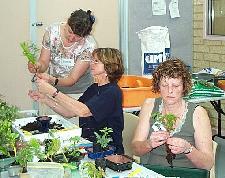 September 2005 - Newman Senior High School - Bonsai workshops / Train the Trainer in Newman, WA. 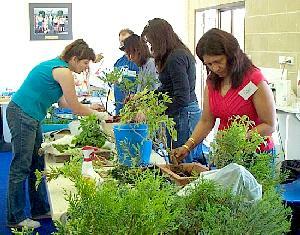 Sponsored by BHP and the beginning of a new subject at the high school level. 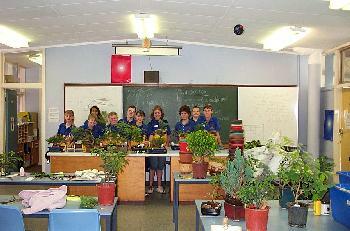 March 2006 - Newman Senior High School - Bonsai workshops in Newman WA. 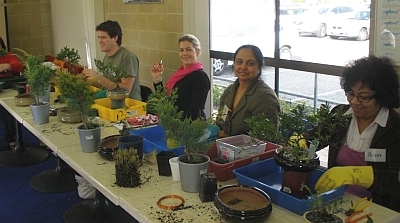 Again sponsored by BHP and the continuation of Bonsai development at Newman SHS. 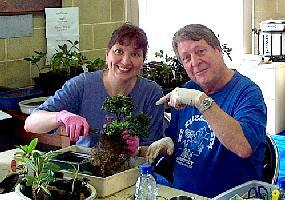 Saturday 12 February 2005 - "Basics of Bonsai Continued" - lots of fun!